Interactive seat selection, notifications, app integrations, and smart search will make seat planning one of your most enjoyable tasks. Ever selected seats for a flight? PheedLoop creates exactly that experience for your event's seating plans! 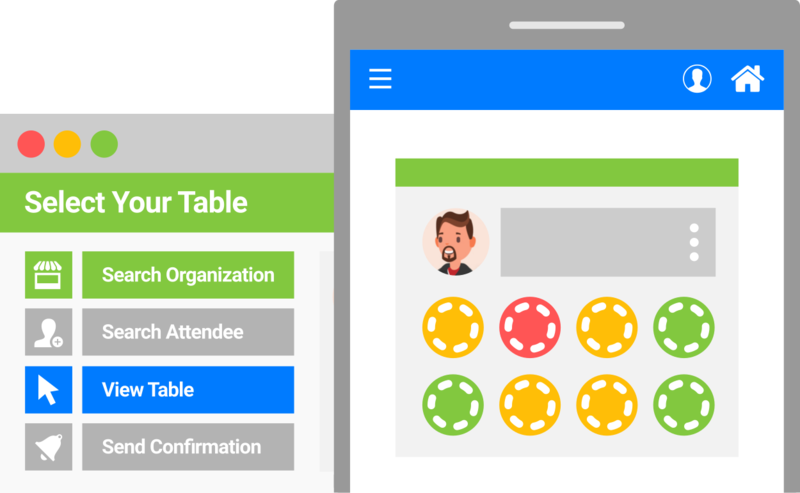 Upload your plan, assign properties to your tables, and let your attendees select their tables in an ultra-simple way. Confirmations are sent out right away, assignments are visible in the event app, and attendees can search for specific people or organizations. So you're using PheedLoop's awesome seat planning tools, but now your attendees all want to sit beside their friends or other specific people. This is where PheedLoop shines. 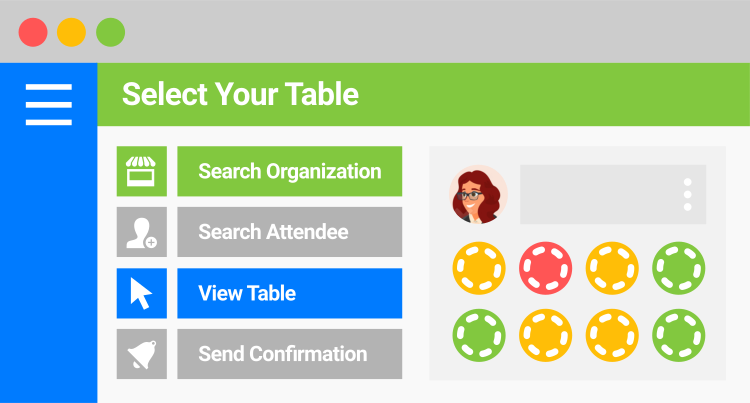 The interactive seat planner shows how full tables are, and allows attendees to search for other attendees by name, organization, industry, and title. Printing seat plans to help attendees figure out, one-by-one, where they should be sitting is now a thing of the past. PheedLoop automatically sends strategically timed seating reminders to all your attendees. Watch your attendees magically flow into their seats without hesitation, letting you focus on running an amazing show. What file format does PheedLoop require? PheedLoop uses SVG files to create seating plans, and our team is always happy to help you create them. You can include any custom graphics, colors, and logos on the seating plans. Confirmation and reminder notifications are sent to ensure your attendees always know where to go. If they have the event app downloaded, they'll get push notifications, otherwise emails. Can I lock specific tables? Yes, you can lock tables such that only event staff can add or remove attendees from them by marking tables as private. You can also restrict tables to specific ticket types. Who selects seats, and when? 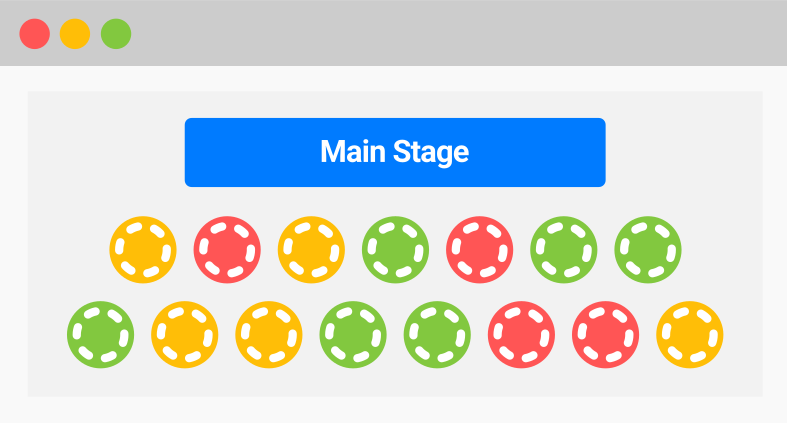 Event planners can assign seats via their dashboard at any time, and if you like, you can even let attendees select their own seats after they successfully purchase a ticket. Can we export seating data? Sure, all seating and table information can be exported to Excel at any time. Some planners like doing this to have the data printed out and available to refer to. Yes, at any time if there is an availability at the table the attendee would like to move to, they can make the move. They'll also get a seat change confirmation. How do you help attendees select seats? We know attendees like to sit with their colleagues or specific organizations. PheedLoop makes this easy by allowing attendees to perform "smart searches" when selecting seats. Can attendees select seats via the event app? Currently attendees can only view where they are sitting in the event app, but are unable to actually change their seats or select one. We're working on it!